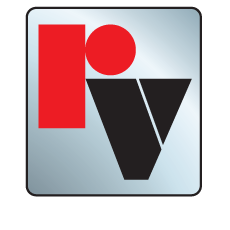 The Red Valve Series 5200 Control Valve design offers maximum durability with precise control and virtually eliminates maintenance. 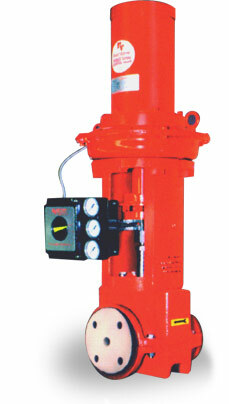 The Series 5200 valve is designed in sizes 1” to 4”. A heavy-duty, rugged pinch mechanism positions the sleeve resulting in accurate flow control. The valve has no packing to maintain or seats to wear and the need for expensive body alloys is eliminated. The standard Series 5200 Control Pinch Valve is designed with a stroke adjustment located inside the valve yoke. The stroke adjustment allows customers to easily make small control changes in the field and simplifies actuator maintenance by creating a removal point in the valve stem. The stroke adjustment allows the user to fine tune the flow control as the sleeve wears, particularly in slurry applications. Variable orifice and cone sleeves can be specified to further enhance control performance and match the exact Cv level desired. True feedback positioning is accomplished through the direct linkage of the pneumatic positioner to the valve stem shaft. There is no splitting of the positioner output. The benefits of true feedback positioning on Series 5200 Valves are accurate small-change response signals to the positioner, causing similar changes in true valve position, greatly enhancing control accuracy.